The recent regional Forum for the Future of Agriculture took place in Slovenia on Friday, December 2, 2016. In this article we explain some details on the structure of agriculture in the country. 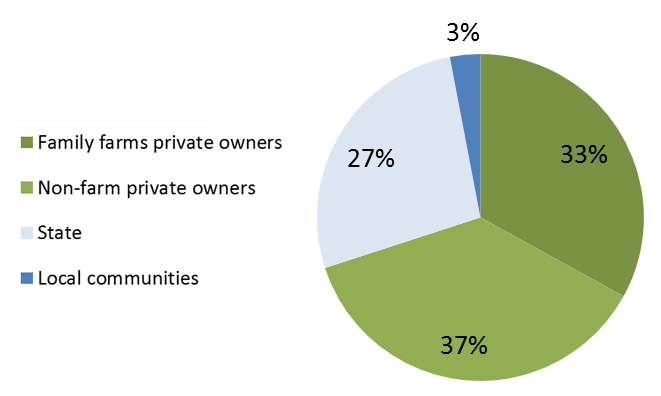 Slovenia’s agriculture is mainly comprised of small farms with 84% of holdings having land under 10 ha. Most of the utilized agricultural area (UAA) is in the east of the country . In Slovenia, the utilized agricultural area (UAA) is mainly comprised of 60% permanent grassland and meadow and 25% arable land for cereals and fodder crops in 2015. Arable land for industrial crops only accounted for 2.8%. The rest of Slovenia’s UAA is taken up by permanent crops (trees or shrubs) and kitchen gardens . Slovenia’s total utilized agricultural area (UAA) is 482,650 ha which equates to 24% of the total area of the country (roughly 2 million ha) . The area which is dedicated to organic production is 8.69 % which is quite high (within the top ten EU countries) . 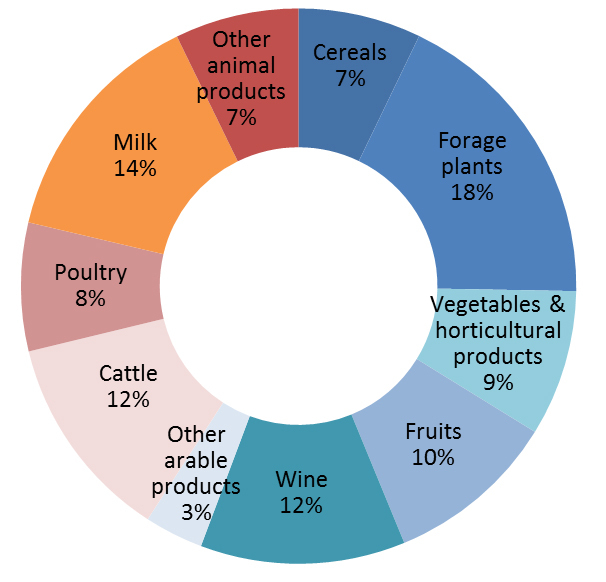 Of Slovenia’s exports only 5% is agricultural (1.4 billion euros). 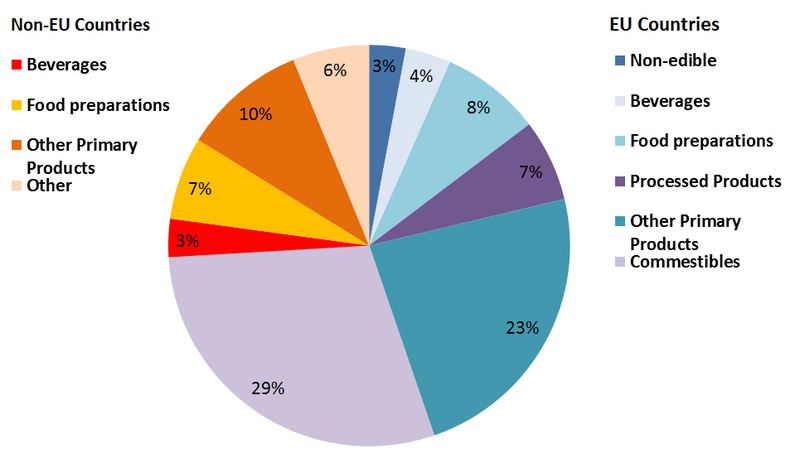 Most of the agricultural exports (74%) go to EU countries mainly Germany and Italy . Forestry is a key economic factor in Slovenia with 66% of land area forested (which is in the top 20 EU countries) and an annual production value of 250 million euros to the economy. The forestry industry employs 4000 people (although this is an unreliable figure) . Forests provide wood as a renewable resource, safeguard jobs, including many green jobs, protect against natural hazards, provide us with energy and contribute to climate mitigation by the strength of their ecosystem. Furthermore they provide habitats to flora and fauna and offer recreational scenery for citizens. Wooded areas in Slovenia are mainly in private ownership with 318,000 private forest estates .